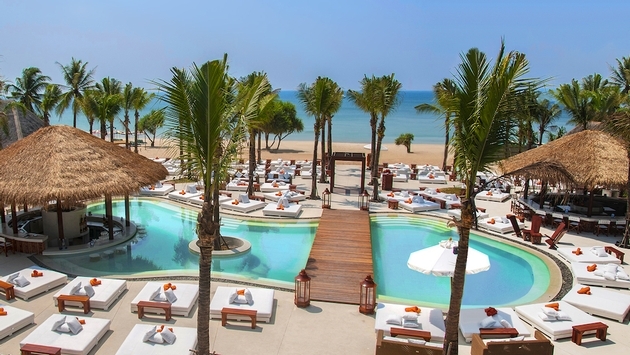 The Nikki Beach Phuket opened in Phuket as the brand’s second location in Thailand. Located on the West coast of Phuket, along Layan Beach, Bangtao, the resort includes a pool, indoor and outdoor dining options, opium beds and four bars. Nikki Prive, the brand's VIP lounge, is located on the second floor of the main building and is able to accommodate up to 70 guests for private events, dinners and celebrations and also includes a deck that can accommodate an additional 60 guests. Nikki Beach Worldwide originally brought its concept to Thailand in 2009 with the opening of a hotel on Koh Samui. In 2010, adjacent to the beach club, the brand expanded the Koh Samui location with the opening of 16 stand-alone bungalows and in 2013 debuted 32 villas and suites, making it the brand's first resort in the world. The events at Nikki Beach Phuket will include top-class entertainment and signature Nikki Beach themed days including the Grand Opening White Party on March 7 to mark Nikki Beach Phuket's official debut, the Champagne World Tour, Miami Vibes party, Brazilian Party and Welcome to St. Tropez party, among many others. Swiss-Belhotel International plans to expand its portfolio in China with three more properties set to open across the country over the next two years. The Swiss-Belhotel Dahe, Taiyuan, the Grand Swiss-Belhotel Dongguan and the Swiss-Belhotel Nanlihu, Haikou, on Hainan Island, are all set to open in 2015 and will join the existing Swiss-Belhotel Changchun, the Swiss-Belhotel Hefei, and the Swiss-Belhotel Liyuan, Wuxi in China. Swiss-Belhotel International's portfolio currently comprises more than 120 hotels and resorts ranging from two- to five-star brand classifications across Asia and the Middle East, with three hotels opening recently in Indonesia, New Zealand and Vietnam. The company recently announced the appointment of Josef Woelfle who joins the company as Vice President - Operations China/Group Food and Beverage Director, and who will be representing the company on the mainland as Swiss-Belhotel International expands their presence in the country. The company just opened the 159-room Swiss-Belhotel Balikpapan in East Kalimantan, Indonesia. Swiss-Belhotel International currently operates 34 hotels throughout Indonesia with a further 60 expected to open in the next two years for a total inventory of 94 properties by 2015. The Mandarin Oriental Bali will open at the end of 2016 on Bali’s southern Bukit peninsula, and will form part of the luxurious Bukit Pandawa development. Perched on a cliff side plateau, the resort will offer 180 degree views with direct access to a secluded and protected white-sand beach. Situated on elevated terraces with commanding views of the Indian Ocean, the 121-key resort comprises 97 spacious villas, each with a private pool ranging from 10 to 15 meters in length. Designed by architect and interior designer, Jean Michel Gathy of Denniston International, all accommodation will employ design elements influenced by the local area’s culture and the Group’s Asian heritage. The Mandarin Oriental, Bali will feature three restaurants and bars including a signature cantilevered cliff-top restaurant, a three-meal restaurant and a relaxed beach grill and bar. The resort will also offer a variety of multi-purpose function rooms, including a cliff-top ceremony platform – ideal for weddings – with sweeping ocean views. An all-inclusive Spa at Mandarin Oriental will offer the most comprehensive range of wellness, beauty and massage treatments available in the region. 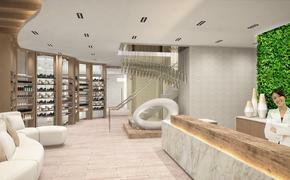 The 1,725 square meter Spa will feature eight treatment rooms. Further facilities include significant heat and water therapies and a 100 meter outdoor pool surrounded by a number of private lifestyle cabanas, all equipped with spa and entertainment amenities. The 520-room Hilton Wuhan Optics Valley opened as the first Hilton in China’s Hubei Province. The six-story hotel features five restaurants and bars. Located in Wuhan East Lake High Tech Development Zone, Hilton Wuhan Optics Valley is close to the dynamic commercial districts in the Optics Valley and the city's most popular destinations and attractions, including the nearby scenic East Lake and Happy Valley Amusement Park. Hilton Wuhan Optics Valley features a range of modern amenities, including generous work surfaces, Hilton Serenity Beds, Peter Thomas Roth bathroom amenities and Wi-Fi access, as well as Yanxi Lake views through floor-to-ceiling windows. Guests who stay in one of the hotel's suites or executive rooms have exclusive access to the 3rd floor Executive Lounge, offering complimentary breakfast, refreshments and a cocktail hour. Hilton Wuhan Optics Valley has five food and beverage outlets: Cantonese, Italian, all-day dining and a coffee or tea in the Lobby Lounge. In the evening, guests can also have tapas and cocktails with popular music at the El Valle. 24-hour room service is also available.